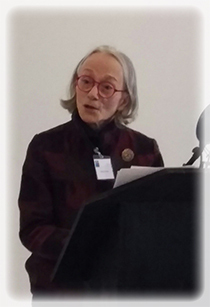 At conference commemorating 50th anniversary of the publication of The Art of Memory by British historian Frances Yates. 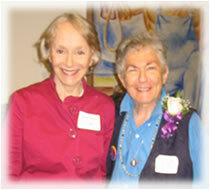 Marjorie G. Jones with biographer Blanche Wiesen Cook at the 20th anniversary celebration of Writing Women’s Lives, NYC, May 2010. The links below will open in a new window. If your browser does not open a new window, select the desired link, copy and then paste it in your browser address bar. please visit wcbm.com and their Listen Live link. For a Podcast of 21st Century Radio, or to download an mp3 file of the Marjorie G. Jones Interview, check their free audio archives. MARJORIE G. JONES, J.D., M.A.